32 Red is a unique and fun online casino that is appealing to both players in the UK and in the United States. 32 Red has a well established brand in the UK and is recognized by gamblers as being a trusted and reputable online casino brand. Unlike a lot of other online casinos out there 32 Red has a dedicated team of in house dedicated support professionals that can help you at anytime with any issues you may be having. 32 Red offers both a download version of the casino and a no download instant play flash version that you can start playing immediately. 32 Red add's additional touches to it's casino by offering players blackjack and roulette as played the same way in Britain but only online which just confirms that 32 Red has the best focus on the UK online casino market. Yes, 32 Red Casino is different. It's different in almost everything apart from the base software which is by Microgaming and the back-room cash handling system by Proc Cyber (try finding their address if you want a challenge). Whilst rambling on about openness, you can not only find the company's address and phone number, but also pictures of the people involved with brief biogs. Let's hope this company wins a few plaudits for their Perestroika and that this becomes the benchmark for Internet casino info. Indeed, one of our queries about the casino was fielded by Ed Ware on the telephone. "Here we go," we thought, "no doubt his brother is Soft Ware!". But it turned out to be the man himself, the Chief Exec of 32 Red Casino, who had been Managing Director of Ladbrokes International (you know, the company without tracking software that works). So why have we gone on about this for so long. Simply this: it is the personal touch that sets this 32 red casino apart. Sure the graphics are fresh and exciting and the game-play is as good as you would expect from a Microgaming site, but at the end of the day, it is how a player is treated that really matters. 1. Powered by Microgaming with payouts reviewed by PricewaterhouseCoopers each month. 2. Licensed and located entirely in Gibraltar (British overseas territory). Unlike other online casino operations, you can find out who is behind 32Red at the website. 3. 300+ games to thrill featuring the full suite of Table Games, all Video Poker derivatives and over 200 Slot Machine games. 4. 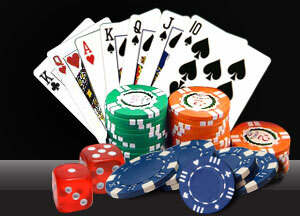 Playing online casino games are as much about entertainment as gambling. To add panache to the online experience 5. 32Red has Patsy Kensit as it's dealer's / croupier's voice. No other online casino offers this attraction. 6. The support centre is manned 24/7/365 and is not outsourced to a third party. Players get personal attention and a special, different service at 32Red. 7. 32Red is available in download format or an Instant Play Flash version. 1. Styled graphics unique to 32Red within the casino. 2. Tips to Win at the website for all the popular casino games including payout tables, explanation of rules and strategy charts. 3. Blackjack played in the same way as they do in London Casinos - i.e. the dealer does not receive her second card until you have finished betting. 4. Unique Cherry Red Slot Machine. 5. Unique "Guided Tour" flash movie about the casino available on the homepage for new players.